#1 #4 #2 #7 #5 #3 #6. 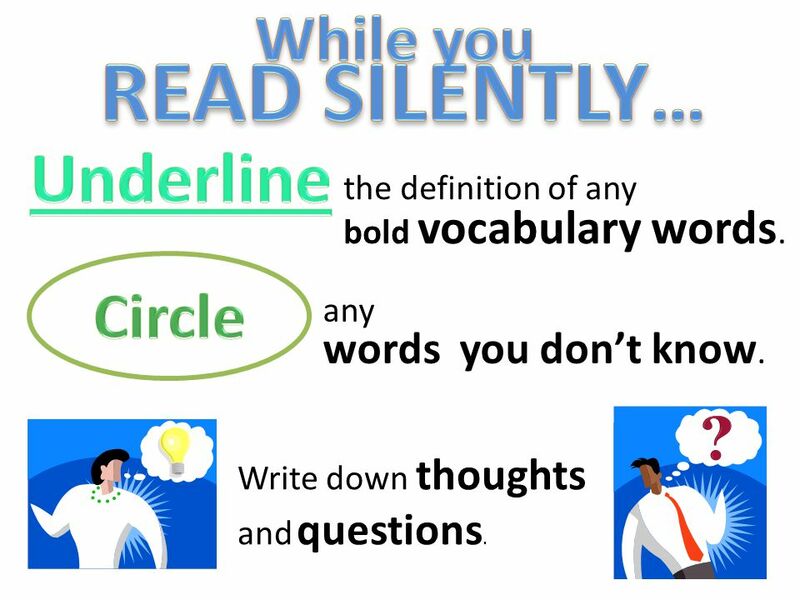 3 READ SILENTLY… Underline While you Circle words you don’t know. the definition of any bold vocabulary words. Circle any words you don’t know. Write down thoughts and questions. 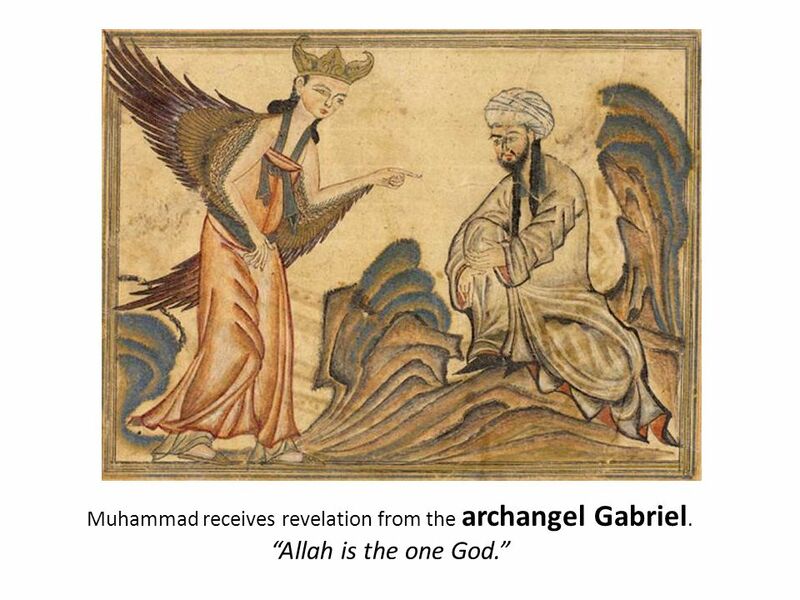 4 Muhammad receives revelation from the archangel Gabriel. 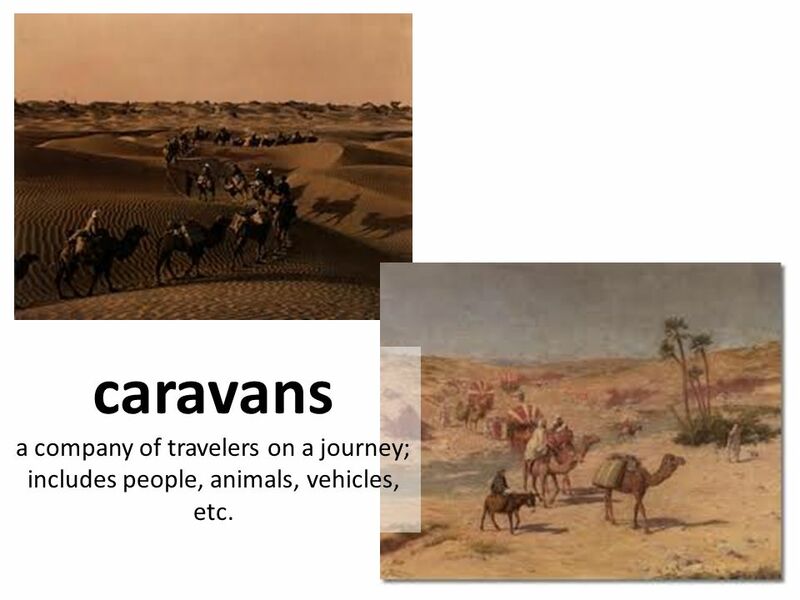 5 caravans a company of travelers on a journey; includes people, animals, vehicles, etc. 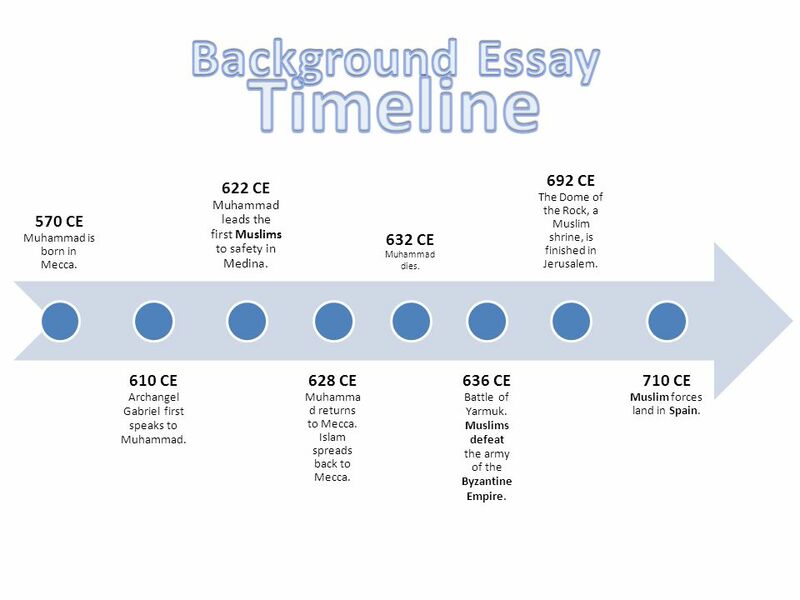 10 Timeline Background Essay 570 CE Muhammad is born in Mecca. 610 CE Archangel Gabriel first speaks to Muhammad. 622 CE Muhammad leads the first Muslims to safety in Medina. 628 CE Muhammad returns to Mecca. 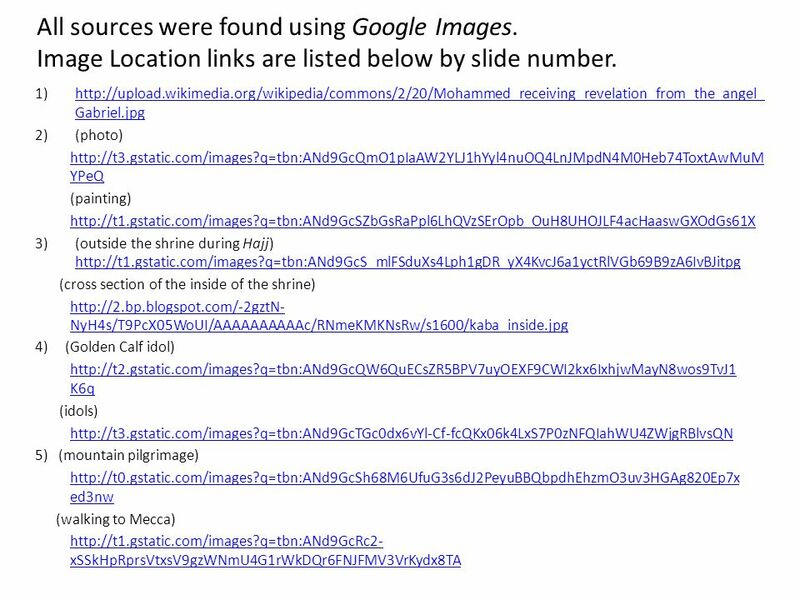 Islam spreads back to Mecca. 632 CE Muhammad dies. 636 CE Battle of Yarmuk. Muslims defeat the army of the Byzantine Empire. 692 CE The Dome of the Rock, a Muslim shrine, is finished in Jerusalem. 710 CE Muslim forces land in Spain. Download ppt "#1 #4 #2 #7 #5 #3 #6." 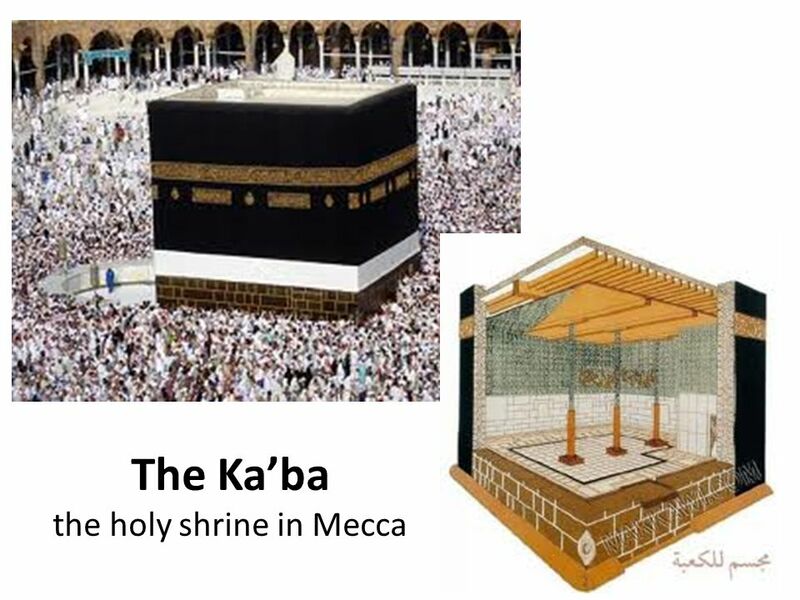 A Study of Islam The Kaaba and the Al-Haram Mosque in Mecca. The Rise and Spread of Islam. Time period: 632-present Location: Arabian Peninsula Founder: Mohamed Holy Book: Quran –written in Arabic. Bell Work Tuesday 9/30 Look in your book beginning on page 263 and begin reading to find the answers 1.) Why was Mecca an important city in. 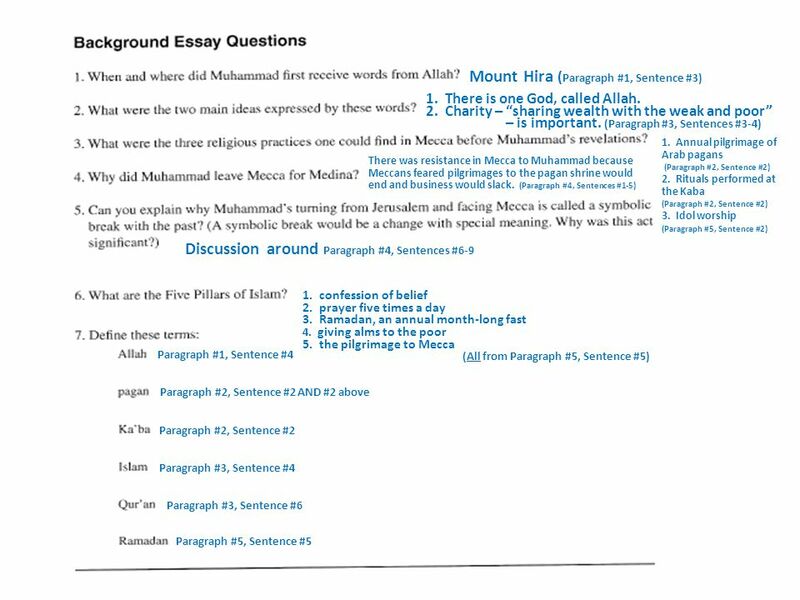 The Religion of Islam Copy the notes in Cornell Style as they are shown. You will need to write ten questions and a summary for homework. 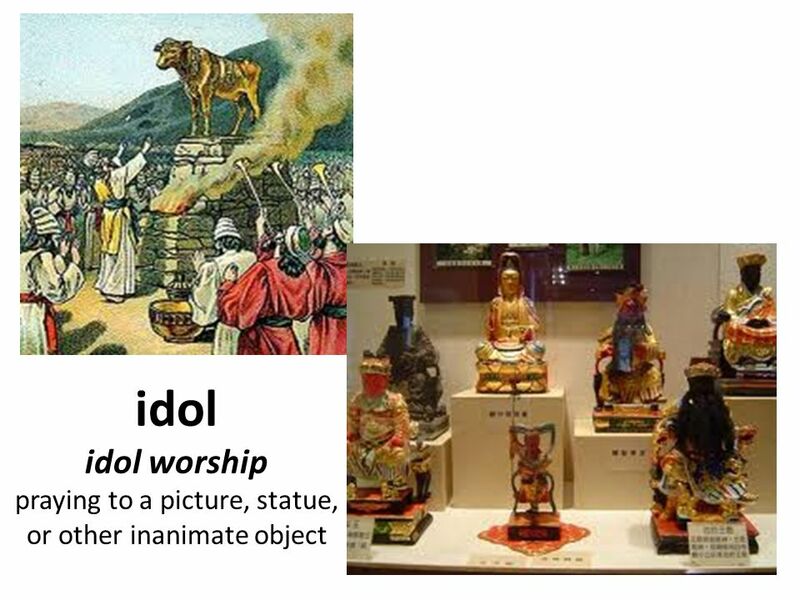 The Origins and Evolutions of the Religion. 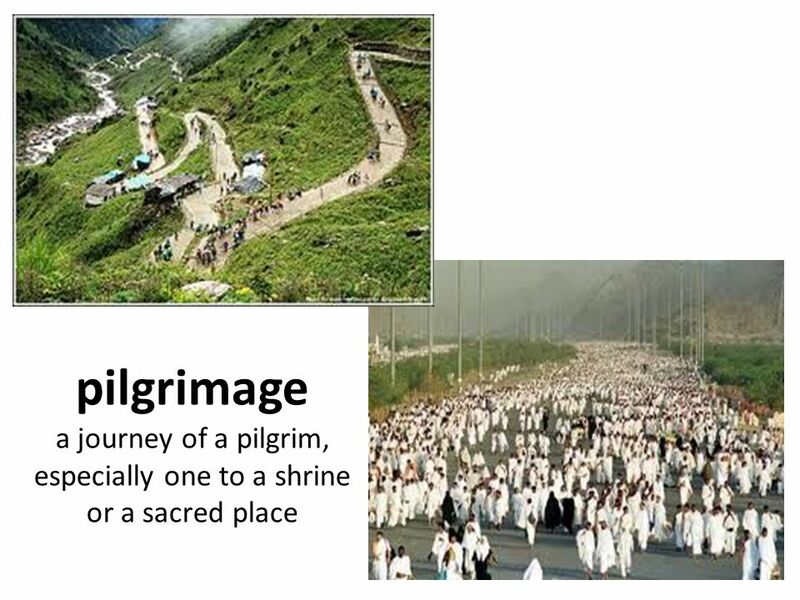  Arabia in the 7 th century CE was a place of many religions.  Christians, Jews, Zoroastrians, and various. The Rise of Islam Arabia before Muhammad  Arabs are the people of Arabia. The word Arab means “to move or pass” – meaning these people were nomadic. 6 th Grade Social Studies. The religion of Islam, based on the teachings of Muhammad, spread across the Arabian peninsula and far beyond to become a major. The Arabian Peninsula and the beginning of a new Monotheistic religion: Islam Monotheism: Belief in one God. Mecca. The Beliefs of Islam. Pneumonic Device I.S.L.A.M.I.C. The Rise of Islam European Middle Ages Mr. Blais. The tenets. Islam The Religion and a Way of Life. The Rise of Islam. Mohammed: The Prophet Founded Islam Born 570 A.D. While meditating had vision – Angel Gabriel commanded him to unite tribes of Arab. ISLAM.  Muhammad  Born in Mecca-market town near  Shepard, at 25 he married Khadijah (wealthy caravan business owner)  At 40, while meditating he. Islam Do Now Who is the prophet of Islam? And, please open to pg 708 Muhammad.